The meeting received a briefing from Deputy Minister Luwellyn Landers, International Relations and Cooperation and Ambassador Mxolisi Nkosi, on the African Union Institutional Reform. The Deputy Minister was pleased to note that good relations between South Africa and Rwanda were back on track. The situation on the continent was quite complex but there was much to be said about what was happening, especially in terms of institutional reforms. The Continent Free Trade Area (CFTA) declaration supplemented the broad political statement supporting economic integration agenda of the continent. Ambassador Nkosi informed the Committee that President Paul Kagame of Rwanda, had presented a report on the imperative to strengthen the African Union to the Retreat of Heads of State and Government in January 2017. A discussion had begun with the intention of finding a self-financing model for AU, because of its perennial dependency on donors. Members contributed less than 30% of the total AU budget. The AU’s programs were 97% funded by donors, whether it was peace and security, or programs related to the promotion of electoral reforms and democracy. Less than half of the AU could fulfil their financial obligations. The Kagame Report constituted over 30 recommendations, all of which should be implemented by 2020. The issues pertained to the level of representation at the Assembly, engagement of Africa with strategic partners, and integration of New Partnership for Africa’s Development (NEPAD) into the AU Commission as the development agency, financing the Union, the role of the Permanent Representative Committee in the Commission and election of the Chairperson and Deputy Chairperson of the Union. Those issues were of some concern in the current form and had significant impact for South Africa. South Africa might not be able to implement the 0.2% levy proposal in its current form as it was in direct conflict with the provisions of the South African Constitution that stated that all revenue collected by the State should be deposited into the National Revenue Fund. It was also a violation of the World Trade Organisation’s Most Favoured Nation provision to discriminate against imports from non-African countries. Also announced was an ordinary Summit in 2019, the expansion of the Committee of Finance Ministers from 10 to 15 members and the introduction of a sanctions mechanism to address non-implementation of AU decisions and policies. Members were extremely concerned about the 0.2% levy. How would that be monitored and controlled? How would each member give its fair share? Was there no financial model that could be put in place that did not interfere with the South African Constitution? The AU only funded 24% of its activities. Who were the AU donors? South Africa paid U$7 million, which was reasonable, but Members thought that South Africa was contributing in many other ways, including the deployment of troops. Could the 2063 agenda be achieved it if AU itself was not financially stable? One Member wanted to know how much African countries contributed to the UN? Were they facing a similar situation in the UN? Which countries had ratified the Pan African Parliament and why had South Africa not done so? Why was the AU always refining institutional reform? How could the AU move forward? Were the donors preventing own choice in the Union? A Member asked if Africa could support the programmes that it wanted? He doubted it as Africa was reliant on donor funding and countries did not support each other. One Member was very worried about the role of influence in the African Union and what role influence had played in Morocco becoming, quite unexpectedly, part of the African Union. The Ambassador suggested that the Committee might require a second meeting to get into the depth of some of the issues and not just the structural issues. The Chairperson appreciated the suggestion, noting that it was a very lengthy document. The Chairperson informed the Committee that there were two extraordinary items of particular importance: the first was the letter from the Department of International Relations and Cooperation, and the second was the matter of the African Union Institutional Reform. The Committee would also note the programme for the following term. He noted an apology from the Minister of International Relations and Cooperation, Ms Lindiwe Sisulu. He welcomed Mr Luwellyn Landers, Deputy Minister who was to lead the presentation on the African Union Institutional Reform. Deputy Minister Luwellyn Landers briefed the Committee on the importance of the subject matter regarding the working and maintenance of the African Union (AU). He said that the situation on the continent was quite complex. There was much to be said about what was happening on the continent especially in terms of institutional reforms. Paul Kagame, President of the Republic of Rwanda, had his own way of doing things. The Deputy Minister was pleased to note that good relations between South Africa and Rwanda were back on track. He indicated that Ambassador Mxolisi Nkosi, who had accompanied Minister Sisulu to the meeting, would make the presentation. Ambassador Mxolisi Nkosi was pleased to report on behalf of Minister and Deputy Minister on a pertinent question that was capturing the imagination of people around the world. AU was the primary vehicle for Africa to end colonisation, ensure continental unity, economic integration and the elimination of boundaries to allow free movement of people, goods and services. To adopt a pan-African position, the Continent Free Trade Area (CFTA) supplemented the broad political statement supporting economic integration agenda of the continent. President Paul Kagame of Rwanda, had presented a report on the imperative to strengthen the Union to the Retreat of Heads of State and Government in January 2017. A discussion had begun with the intention of finding a self-financing model for AU, because of its perennial dependency on donors. AU and its predecessors, like the Organisation of African Unity, had been primarily dependent on donors since 1963. Member states had not been able to honour to the fullest extent their contributions to the organisation. The organisation was heavily dependent on donors, not only for its operations and programs, but also to finance its secretariat. That was a matter of great concern. That was the genesis of the institutional reform agenda that was currently unfolding in the AU. In 2014, the AU’s budget was 308 million, more than half of which was funded by donors, and in 2015 it rose by 30 percent to 393 million, 63% of which was funded by donors. This trend had become worse over the years. Members were expected to contribute less than 30% of the total AU budget. The AU’s programs were 97% funded by donors, whether it was peace and security in Somalia or eastern DRC, even programs related to the promotion of electoral reforms and democracy. By December 2016, of 54-member states, only 25 had paid their dues for the financial year 2016. Less than half of the AU could fulfil their financial obligations. Following that discussion, in July 2016, the Assembly of AU had been held in Kigali. President Kagame had assembled a very competent team of advisors, including South Africa’s former Governor of the Reserve Bank, Mr Tito Mboweni, which culminated in the publication of the report: “The Report on the proposed recommendation for the institutional reform of AU” in January 2017. It was now famously known as the Kagame report. It constituted over 30 recommendations, all of which should be implemented by 2020. He believed that those reforms would make the organisation more efficient and its programs more meaningfully impactful. Ambassador Nkosi raised issues that needed to be refined and subjected to further review as part and parcel of the process to enrich the Kagame report. The issues pertained to the level of representation at the Assembly, engagement of Africa with strategic partners, and integration of New Partnership for Africa’s Development (NEPAD) into the AU Commission as the development agency, Financing the Union, role of Permanent Representative Committee (PRC) in the Commission and Election of the Chairperson and Deputy Chairperson of the Union. Those issues were of some concern in the current form and had significant impact for South Africa. He stated that South Africa might not be able to implement the 0.2% levy proposal in its current form as it was in direct conflict with the provisions of the South African Constitution that stated that all revenue collected by the State should be deposited into the National Revenue Fund. Besides, it was a violation of the WTO’s Most Favoured Nation (MFN) provision to discriminate against imports from non-African countries. South Africa also believed that PRC should be allowed to perform all its duties beyond an advisory role and those included monitoring the implementation of policies, and decisions and making recommendations to the Executive Council. Both competence and geographical representation should be considered in the appointment of Commissioners. Furthermore, he elaborated on the January 2018 Summit decisions on institutional reform which included the announcement of an ordinary Summit (Assembly) in 2019, the expansion of the Committee of Finance Ministers from 10 to 15 members and the introduction of a sanctions mechanism to address non-implementation of AU decisions and policies. The Chairperson thanked the Ambassador but informative presentation. He added that it was a very lengthy document and he appreciated the fact that the Ambassador had adhered to the abbreviated presentation. He asked Members of the Committee to introduce themselves as he had forgotten to do so. He invited Members to engage with the presentation. 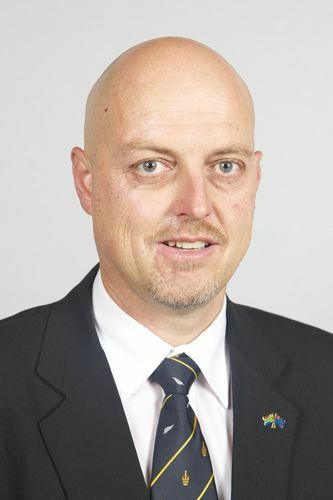 Mr W Faber (DA) (North West) discussed the 0.2% levy. How would that be monitored and controlled? How would each member give its fair share? AU only funded 24% of its activities. Who were the donors? Was South Africa a donor as well? How much did SA pay towards the African Capacity for Immediate Response to Crisis? 1000 forces were deployed by South Africa, probably paid for by the Defence Force. Was SA footing the bill all the time, for all the interventions, but was also expected to pay the levy? Mr I Rayi (ANC) (Eastern Cape) expressed concern about the financing and whether the AU could be sustainable if 97% of programmes were funded by donors. He hoped that the Finance Ministers would resolve the problem. Could the 2063 agenda be achieved it if AU itself was not financially stable? Sustaining freedom was also very expensive. Committee meetings, public hearing etc. were all about sustaining freedom. He stressed that at some point AU had to be financially independent. He went on to suggest that the non-implementation of some of the decisions on the influence of the donors. They could use their influence to stifle the programs. He said that, considering the United Nations model, how was the Deputy Secretary-General appointed? He also wanted to know the contribution of African countries to the UN? Were they facing a similar situation in the UN? He understood that the contribution would be costly, but it was essential. He asked about PAP. In South Africa, the judicial sector was independent. If PAP was independent and had a clear role, it could be more than an advisory board but a legislative body. He was glad that PAP was back on the agenda as it had been very quiet after the departure of President Mbeki. But he had not heard anything of the African Peer Review Mechanism. He had also not heard anything about the African Court of Justice and Council for Human Rights. He asked about the arrangement of a Chairperson and a Deputy Chairperson. What was the arrangement at the UN in respect of the Secretary-General and the Deputy to the Secretary-General? Which countries had ratified the Pan African Parliament and why had South Africa not done so? He was very worried about the role of influence in the African Union and what role influence had played in Morocco becoming part of the African Union. Mr L Magwebu (DA) was wondered about the 2% charge as that was in conflict with the South African Constitution which should be sacrosanct. He appreciated that the Committee had been taken into confidence about the proposed reforms. Was there no financial model that could be put in place that did not interfere with the Constitution? Deputy Minister Landers recalled his own experience back in 2014 when the continent was at the height of the Ebola Crisis and the AU Commission Chair was looking for money to pay staff salaries as only 12 members of AU had paid their contributions. Even worse was that only 10 per cent of a country’s annual contribution had to be paid for a member to be called paid up. The donor funding was worrying, and Dirco shared that concern. As to whether the AU would achieve Agenda 2063, he had his doubts. There had also been an allegation, that had been reported in media as well, that Morocco had become aware of the debt that the member countries owed to AU. So, in preparation for its meeting before AU, it had met each of those member states, offering to repay their debts to AU if they supported its inclusion. Therefore, when Dirco went to the AU thinking that Morocco did not stand a chance, Dirco was shocked. Morocco, allied with France, Spain and Israel, played an influential role in the AU. Regarding the questions revolving around the potential legislative role of PAP (Pan African Parliament), he reminded Members that the Constitution clearly stated that the Constitution was the primary law of the land. He reminded Members of the problems that Britain had had with the EU. So, if South Africa gave legislative power to PAP and it passed a law, how would it impact on South Africa, given the South African constitutional provisions? He said that African Court of Justice would never see the light of day because only two countries in the continent had been signatories. The reason for that was the same: to become a signatory, you needed to contribute financially. Even South Africa had been attacked for not signing it. Ambassador Nkosi answered the question regarding how the revenue would be levied and controlled. That still had to be addressed completely. He said that they couldn’t have a fee of such a high magnitude without governance and one could not subject them to normal accounting procedures. They needed a very transparent, deliberate and rigorous body that monitored and regulated the collection of the amount. Regarding the donors, for example, EU was one of the biggest donors and China was imagined to be another of the big donors. Other bilateral donors included France, United Kingdom, Nordic countries, and traditional donors, mainly G-7 countries (Japan was a part of that). Some of the liberational development agencies also contributed, like the International Monetary Fund, European Development Bank, and Asia Development Bank. South Africa was not a donor, but a member state that fulfilled its obligations. Regarding the role of the PAP, he noted that the founders of the African Union had conceived of the PAP as eventually mutating into full legislative body. That raised a dilemma as the AU and its organ were largely modelled along the lines of European Union (EU), but the big conundrum was the model of integration, i.e. the path that EU and AU followed were not the same. EU followed supranationalism, that was having continental governance that superseded local governance structures. The AU model was based on an inter-governmental union of states. For South Africa to replicate the EU model, there needed to be major constitutional amendments. The norm, however, that South Africa was trying to set was to transit PAP from a consultative, advisory body to a legislative body. Regarding the UN elections, he said they were a hybrid procedure. A mixture of lobbying and meritocracy. At the end of the day, the powerful states decided. The DSGs were appointed by SGs but there was a lot of lobbying. Frankly, he said, that they had not looked at models based on 0.2%. The motive was that if all countries could pay, the AU would be independent. AU was based on a principle of solidarity. Mr M Chabangu (EFF) (Free State) Why was the AU always refining institutional reform? How could the AU move forward? Was it the donors that were preventing own choice? It would be better if they were taken into confidence about African Bank and also BRICS Bank. He wanted information on BRICS bank. Networking was important in Africa. What was happening with all the money given to the AU? Which programmes were funded? How much did South Africa contribute? Those involved in people trafficking, gun trafficking etc, were the people who should pay. How would the regional economic Committee function in there was no stability. He asked about the Most Favoured Nation programme and he asked about how many countries in Africa were duty-free. Were there countries that had not signed? The AU should be recognised as a separate body. What had happened? How far was PAP? Africa had to deal with human trafficking and drug trafficking. 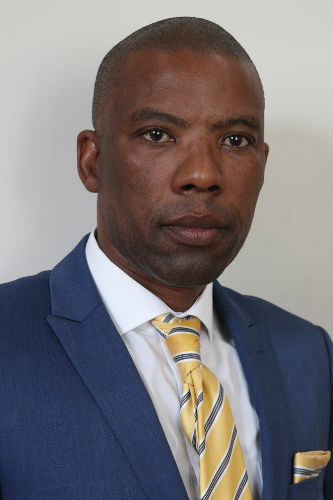 Mr B Nthebe (ANC) (North West) agreed that the Chairperson of the AU should be nominated but he pointed out that if a chairperson was decided upon, based on meritocracy and geography, that the Assembly might potentially be giving a lot of power to the Chairperson and unknowingly centralising power around the Chairperson. AIso, in sub-Sahara, the reality was that most of the countries were farming-based economies, so not much could be contributed to the GDP, thereby increasing dependence on donor funding. The reality was that most countries in Africa relied on donor funding. He was concerned about the banning of South African farming produce, in addition to banning processed meat products, by Rwanda. Could Africa support the programmes that it wanted? He doubted it as Africa was reliant on donor funding and did not support each other. Ms M Dikgale (ANC) (Limpopo) appreciated the presentation. She agreed that donor funding was problematic. South Africa could not pay the 2%. She had no answer, but she knew that 2% was not possible. Mr Faber asked about the SA contingent deployed under the AU banner. What was the cost to the country on that? South Africa paid U$7 million, which was reasonable, but he thought that South Africa was contributing in many other ways. The Deputy Minister responded by saying that he would have to go back and get the costs of the contingent. The Committee needed to bear in mind that the chair of AU was a military man and he thought with that mindset. So, he did not understand that countries needed to consult and think over issues when it came to finances. He had no information about BRICS Bank. 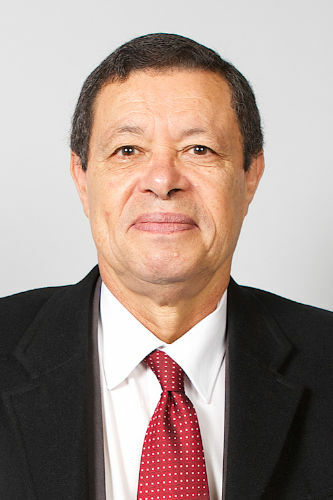 In response to the earlier question on the African Union Court, the Deputy Minister suggested that the Committee, informally and very humbly, requested Justice Bernard Ngoepe to appear before the Committee as he had served on the African Court and would possibly be able to respond to the Committee’s questions and make certain suggestions. The current domicile of the Court was another problem. The Ambassador added that most of the contributions in the second round were comments and suggestions which had been taken into account. He suggested that the Committee might require a second meeting to get into the depth of some of the issues and not just the structural issues. The Chairperson appreciated the responses and the suggestions. He would reserve his comments. The Committee had intended to undertake a trip to Norway and the cancellation had been badly handled. 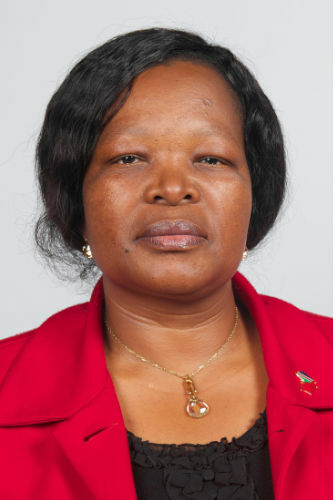 Subsequently, the Chairperson had received a letter of apology from the Director-General, Department of International Relations and Cooperation, in respect of the unsatisfactory situation that had resulted when the proposed Committee study tour had been cancelled at the last minute by Parliament. It was determined that Committees should have at least, an in-principle approval before Dirco and an Embassy be informed. It was determined that preparations for study tours etc had to follow correct processes. Minutes of the meeting of 21 February 2018 were presented. 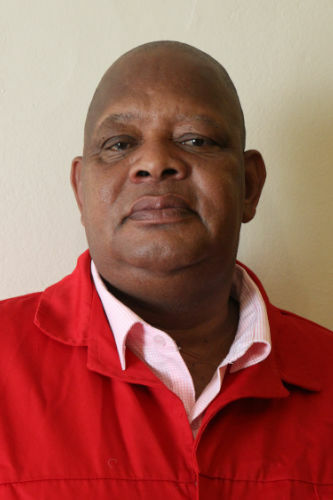 The Chairperson noted that he had officially welcomed Ms B Mathevula (EFF) (Limpopo), but she had not been marked present. The minutes were amended. The minutes were proposed by Mr Faber and seconded by Mr Chabangu. The Chairperson presented the proposed programme for Quarter 2. Mr Faber noted that there was to be a meeting that afternoon. He had heard that Parliament would close for three full months. If that happened, what would happen to the proposed programme? Where would leave the Committee as it would leave Members with a lot of work? Chairperson said that if a decision was taken regarding sitting times in Parliament, the programme could be adapted. The programme was moved and seconded.